We found the biggest rhubarb ever and had to save this moment. Nature is awesome, especially when it creates something unexpected and surprises you. 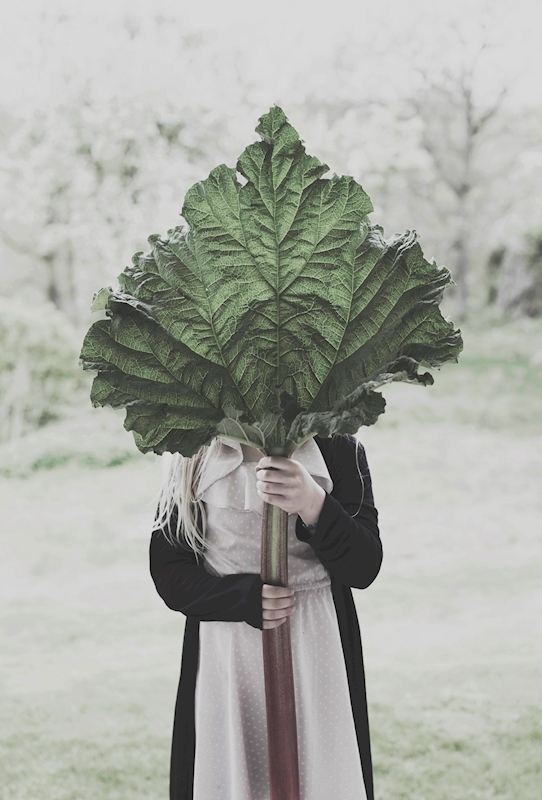 Just like with this photograph of an awesome rhubarb leaf. A one-of-a-kind playful print that makes you look twice. A perfect personal piece of art that goes just as well in the kitchen as in the living room or a childrens' room.